Working near the beach can be a tease—it's so close, and yet, you wish for more days with your toes in the sand, gazing at waves. 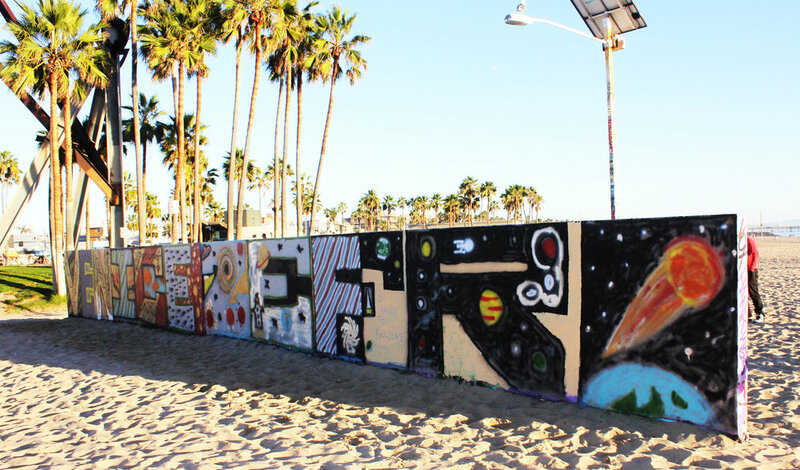 The team at ZEFR, a Venice-based video technology company with offices on Abbot Kinney, decided to get out for the afternoon and channel their creativity into a fresh layer of color on the Venice Art Walls. They partnered with STP Foundation, a non-profit that manages the local landmark, and reminded us of a couple of things: Yes to more beach days. And, the Venice Art Walls are for everyone. So, if you're an artist who'd like to do a mural or, like ZEFR, interested in doing a group session, you can reach out to STP at veniceartwalls@stpla.org for more information on making that happen.